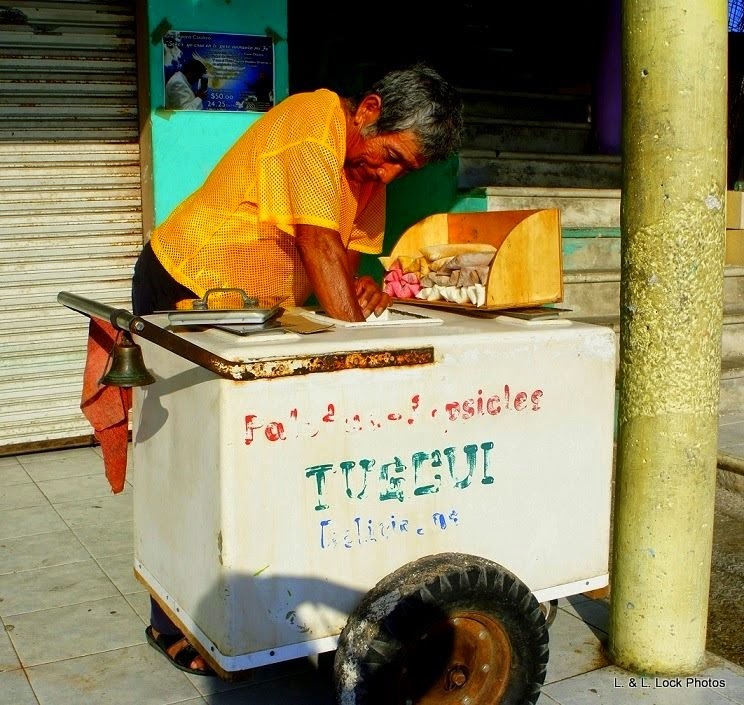 That distinctive sound announces the Tuggui salesman is passing by, selling an assortment of ice-pops, frozen treats or as they are known in Mexico, paletas. The vendors’ mobile cold-storage carts are refilled daily with a fresh supply of frozen concoctions in a rainbow of colours – white, cream, chocolate, green, pink, purple, and bright yellow; lip-smacking flavours of coconut, arroz con leche (rice pudding), coco-crisps, lime, strawberry, grape, pineapple, plus chocolate and vanilla. A couple of weeks ago I posted a photo of a Tuggui Paleta cart being man-handled across the soft sands of North Beach by a slim, sinewy vendor. That photo prompted our friend Kay Cole to introduce us to her neighbours, the Borges. 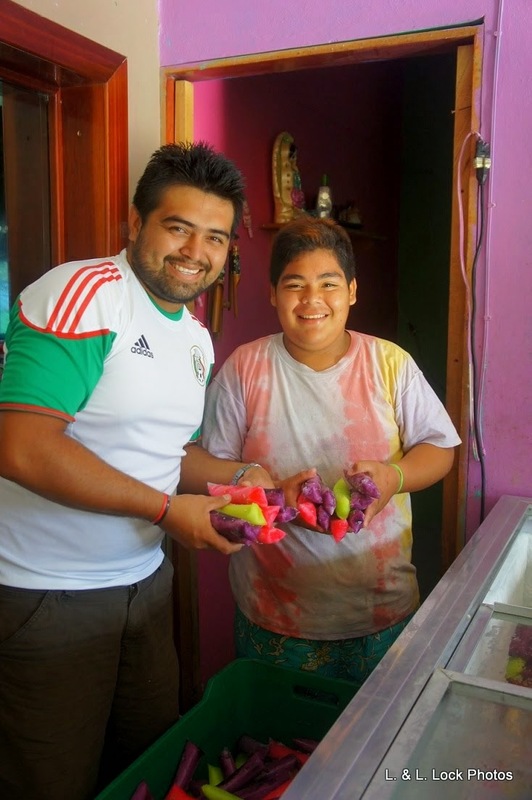 Manuel “Tuggui” Borges is the second generation of paleta-makers. His dad Benjamin Borges started the business twenty-two years ago. 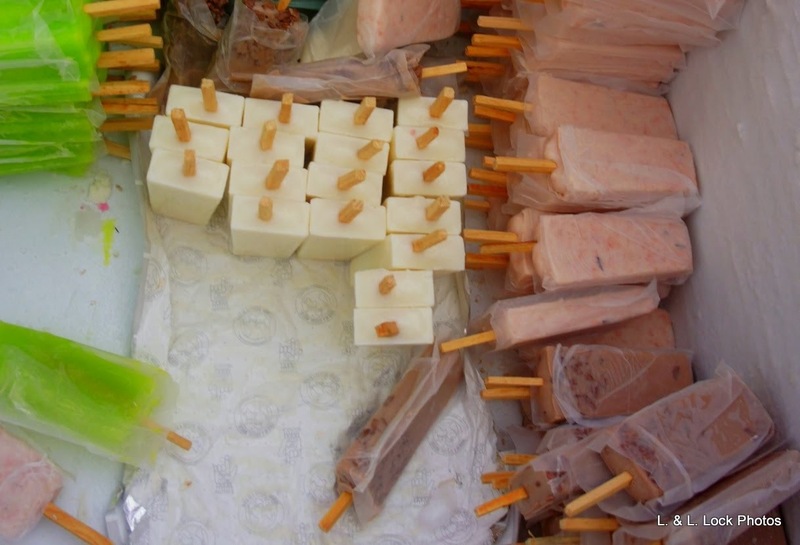 Señor Borges purchased the paleta making machinery in Guadalajara, along with four of the original carts. Over the years he hand-built another three carts to augment the business. Early in the morning the salesmen trundle the heavy carts to their designated routes, and trundle the hopefully empty unit back to the outlet around sundown. Their starting point is approximately mid-point on the island, across the street from Deysi and Raul’s El Charco Restaurante on the Paseo de la Aves. While I was taking photos of the Tuggui Paleta factory I inadvertently activated their very efficient alarm system. 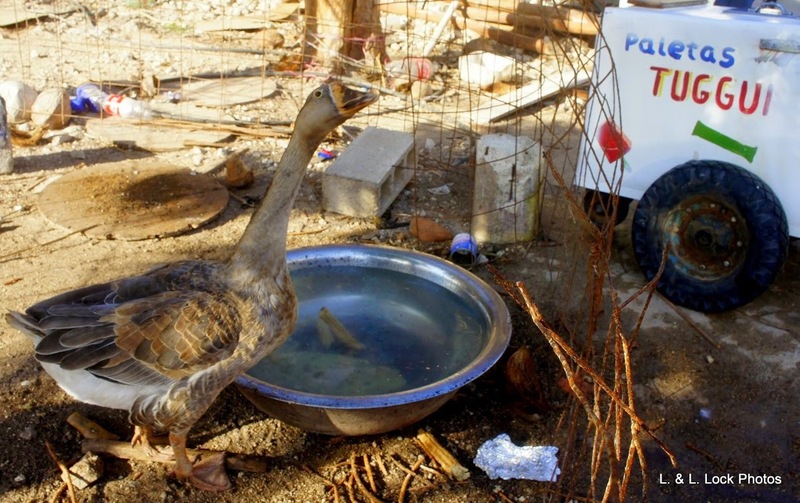 The alarm is a fifteen-year-old goose named Pequeño or sometimes Pequeña. None of the family members know for certain if the goose is male or female. The goose doesn’t seem to mind the name confusion. Either way, it can effectively rouse their napping pit-bull with one loud annoyed hoon-onk! By the time I had returned home from visiting the paleta factory, had a second cup of coffee, and downloaded my photos I could hear the ting, ting, ting sound coming down our street. The gentleman who let me take his photo while he was reloading his cart was now passing our house. He had been walking for nearly an hour by the time I saw him. He walked from the factory to the high school to catch the morning shift of the students. Next he would buzz around to the other schools and return to the high school for the afternoon shift. It’s a long day in a hot and humid climate, pushing a heavy cart. When we first moved to Isla, we occasionally purchased coconut or lime paletas from one of the vendors, Manual, as he passed by our house. 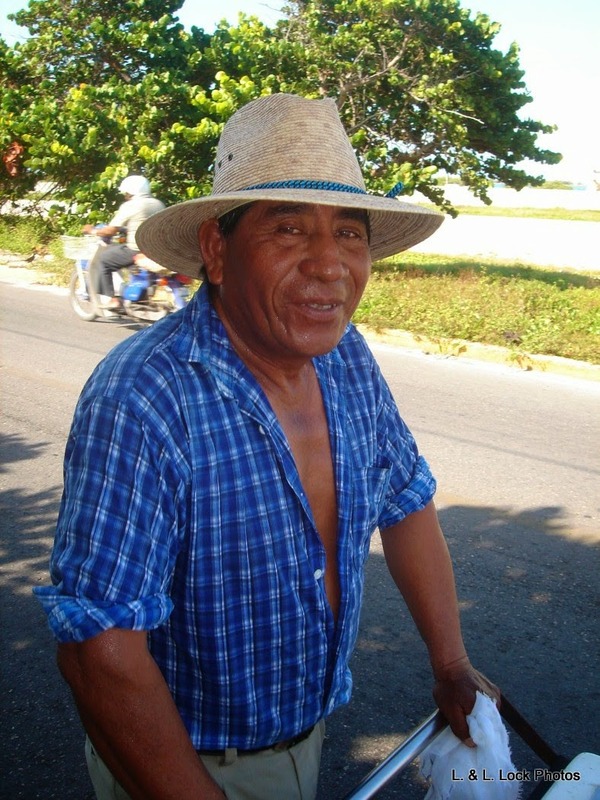 One morning I asked: “Por favor, una foto?” He nodded, smiled shyly at the camera, and continued on his way. It is one of my favourite people photos. It always amazes me when island friends see the photo they immediately recognize him as the popsicle man. We haven’t seen him in recent years, hopefully he is doing well. My current favourite flavour is coconut! 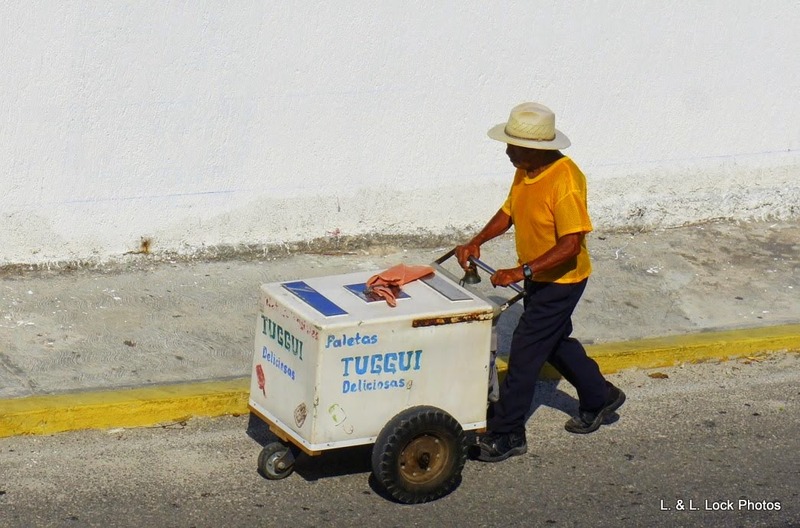 The next time you see the Tuggui vendors passing by with their carts, or struggling through the soft north beach sand, try one of the paletas. They are a tasty treat! I think my current favourite flavour is coconut. But, I might have to re-sample the other flavours, for research purposes. Thanks for sharing, Linda! It's great to find out more about some of our favorites on the island. 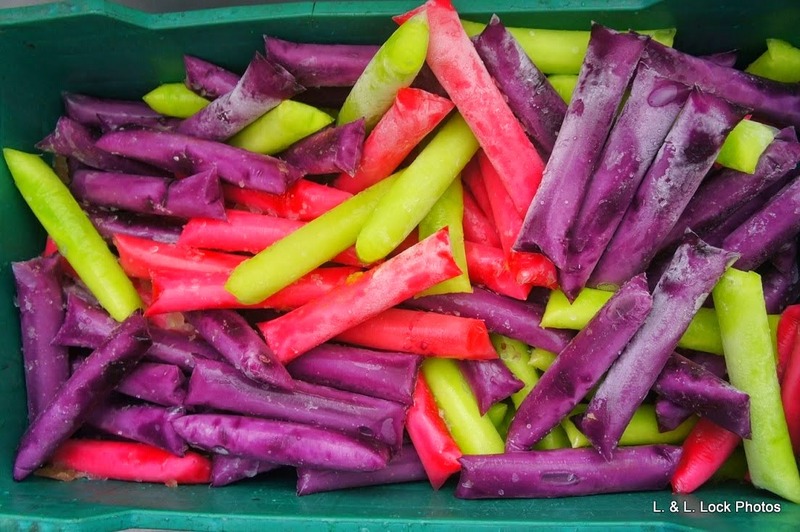 The popsicles look delicious! I can't wait to get back to Isla this October. I will have to buy one. Hi Kirby! Yummy, very yummy!